It must have been a very interesting week for the staff of the Hawthorne Hotel: early on it was a film set, this weekend a paranormal conference called Salem Con 2015 is on site. Strange bedfellows indeed: Jennifer Lawrence, Bradley Cooper and a convention of ghost hunters. 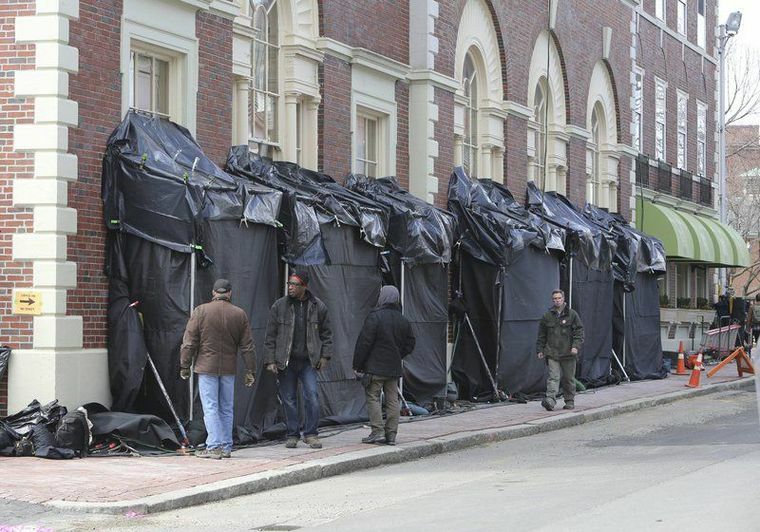 Jennifer and Bradley have been in Salem before–or at least their director, David O. Russell was: filming scenes for American Hustle in and around the courthouses on Federal Street. This film, called Joy, will tell the story of “Miracle Mop” founder Joy Mangano (Lawrence) and her rise to fame and fortune, with the help of a Home Shopping Network executive (Cooper). Another Russell favorite, Robert DeNiro, plays Mangano’s father, and I think he was filming here as well. This is really nothing new for the Hawthorne, which has served as the temporary home for a succession of Salem-visiting celebrities for years, from its opening in 1925 to the present. 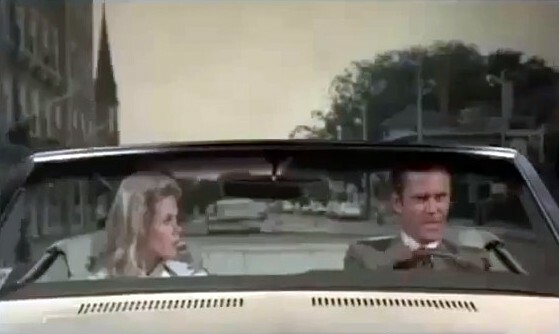 The hotel even had a starring role of sorts, as the stucco-clad “Hawthorne Motor Hotel”, in two episodes of Bewitched in 1970: Samantha and Darrin drive right by the real hotel, turn the corner, and park outside of the Hollywood Hawthorne. Still scenes from “The Salem Saga”, Season 7 of Bewitched (1970-71). 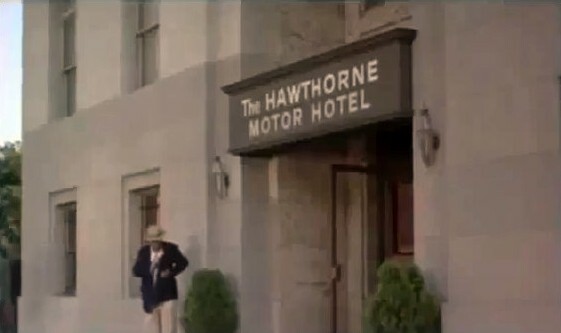 No fake Hawthorne for Russell: he was filming in the real thing, although I’m sure the name will not make it into the movie outside of the credits. As is always the case, movie-making requires a lot of stuff, so equipment vans and trucks clogged the Common neighborhood surrounding the hotel. 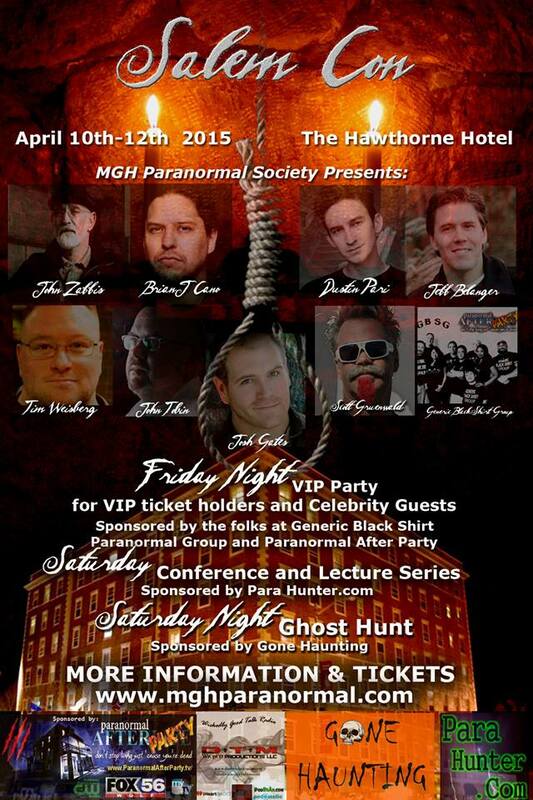 Descending well down the ladder of celebrity—to the very bottom if not below the ground–next up for the hotel is this weekend’s “Salem Con 2015” , at which attendees can“meet some of your favorite paranormal celebrities, see and purchase some of the latest “gadgets”, and investigate beside them [the gadgets?] during the celebrity “Ghost Hunt”. I think I’ll let this event speak for itself, with that line and its lovely poster: such a subtle use of the noose! I have just one closing question: WAS THERE EVER AN EVENT SO APTLY-NAMED? All in a week at the Hawthorne Hotel: Day for night on this past Tuesday, KEN YUSZKUS/Staff photo, Salem News; charming poster for Salem Con 2015. This entry was posted on Saturday, April 11th, 2015 at 8:16 am	and tagged with films, Hawthorne Hotel, Local Events, Salem Common, Witch City and posted in Current Events, Salem. You can follow any responses to this entry through the RSS 2.0 feed. Doesn’t anyone there get embarrassed by the exploitation of the real suffering of real people of Salem and Salem Village, or do the cash registers drown it all out? Good question, Bob. Well, I certainly do–and a lot of other like-minded people. 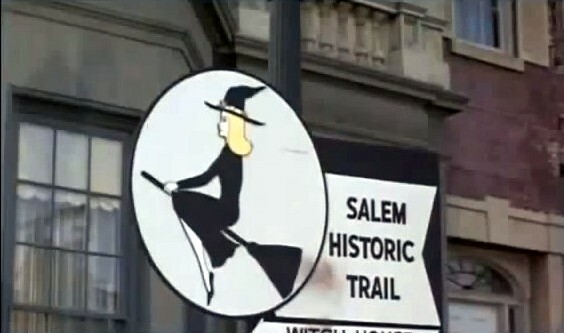 But (just one woman’s opinion here) most people in Salem seem to have adopted a rather passive attitude based on their belief that there is nothing they can do to change Witch City. And very few people (again, in my opinion) acknowledge that all this circus stuff IS exploitation. Well, to be fair to Salem Con, it’s clearly another subculture that involves true believers, scam artists, people who treat it all as a (profitable) joke, and some that just like to hang out in such events. And how many other locations in the U.S. are famous for weird/occult stuff? Where are they going to meet, Albany? On the other hand, I was recently going through the two collections of supernatural folklore that Whitter put together (Legends of New England, 1831; The Supernaturalism of New England, 1847). You’ll be happy to know that Salem has only a bit part in them. Whittier was vastly more interested in superstitions that developed where Native Americans and colonists intersected.